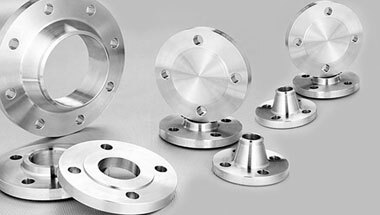 We are Supplier & Exporter of Inconel Alloy 601 Pipe Flanges, Inconel 601 Slip on Flanges, Inconel 601 DIN Blind Flanges, Inconel Alloy UNS N06601 Plates Flanges Manufacturer in India. We, Neon Alloys are Manufacturers and Exporters of ASTM B564 Inconel 601 Flanges. These products are highly appreciated in the global market for durability, non-magnetic and superior quality. Inconel 601 Flanges available in form Weld Neck, Slip On, Blind, Socket Weld, Lap Joint, Spectacles, Ring Joint, Orifice, Long Weld Neck, Deck Flange, etc. These Inconel Alloy 601 Flanges provided in ANSI, DIN, JIS, BS and ASME standards. With the constant support of our expert team, we are engaged in offering a huge assortment of Inconel Flanges. Inconel 601 Flanges are composite that is amazingly impenetrable to warmth and utilization and thusly is for the most part used as a piece of diverse outlining strategies. With high versatility, Inconel can be hardened and braced just by cool work. The Inconel 601 Flanges are used in Petro-Chemical Industry, Oil and Gas Industry, Nuclear Industry, Pulp & Paper Industry, Research & Development, Mega Projects & Defense & Development Industries. In fact wing to the special grade of steel Inconel 601 Flanges are used for all critical applications. ASTM A564 Inconel 601 Flanges, Alloy 601 Orifice Flanges, Inconel WNR 2.4851 Forged Flanges, Alloy 601 Socket weld Flanges, Inconel 601 ANSI/ASME B16.5 Reducing Flanges Supplier in India. Peru, Tunisia, Brazil, Angola, Cameroon, Thailand (Bangkok), Iran, Australia, Dubai, Israel, Mexico, Jordan, Iraq, United States, Bahrain, Venezuela, Chine, London, Canada, UAE, Trinidad and Tobago, South Africa, Ghana, Indonesia, Argentina, Russia, Sudan, UK, Kuwait, Africa, Malaysia, Italy, Vietnam, Kazakhstan, Algeria, Egypt, Germany, Turkey, Uganda, Nigeria, Houston, Saudi Arabia, Democratic Republic of the Congo, Mozambique, Ethiopa, New Zealand, Sri Lanka, Morocco, Colombia, Azerbaijan. Lagos, Bulawayo, Cape Town, Algiers, Fez, Dammam, Durban, Riyadh, Aqaba, Accra, Ibadan, Freetown, Subra al-Haymah, Giza, Harare, Johannesburg, Mbuji-Mayi, Jeddah, Benin, Tel Aviv, Casablanca, Maputo, Tehran, Amman, Kinshasa, Sharm el-Sheikh, Port Harcourt, Byblos, Pretoria, Beirut, Jerusalem, Ouagadougou, Yaoundé, Muscat, Kano, Abidjan, Data from the UN, Doha, Lubumbashi, Tripoli, Manama, Istanbul, Hong Kong, Addis Ababa, Antananarivo, Dubai, Soweto, Rabat, Bamako, Maiduguri, Lusaka, Singapore, Kampala, Nairobi, Cairo, Dar es Salaam, Abu Dhabi, Colombo, Port Elizabeth, Luanda, Khartoum, Mogadishu, Brazzaville, New York, Bethlehem, Kolwezi, Omdurman, Douala, Dakar, Mecca, Kaduna, Cairo, Conakry, Alexandria, Zaria.